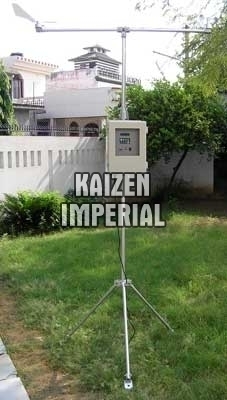 Designed using latest technologies, the Automatic Wind Monitor offered by us is high on demand in the market. Our Micro Controller based Automatic Wind Monitor displays robust in micro controller based instrumentation design. For collection of real time data automatically, wind speed and direction sensors are attached with the data logger. This instrument transforms analog signals from sensor to digital. In the internal EEPROMS, individual operating software is programmed. When a signal from sensor is available, the micro controller wakes up.